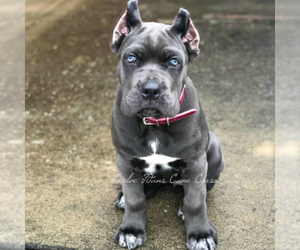 Twelve Titans is an Atlanta-based, family-owned kennel committed to the preservation of the true Cane Corso Italiano as a guardian, worker and protector. Our Cane Corsos are truly our legacy and we only wish to produce healthy canines that best represent the original rustic standard. Therefore, we breed with purposeful intent with quality being paramount over quantity. Because of this, we produce a small amount of litters each year that are offered only to approved families. This means that we can focus on what counts: healthy, structurally sound, stable-minded Cane Corsos that are highly trainable. It gives us a great sense of pride to produce quality Cane Corsos and place them with others who will love them the same as we do. Visit our website to see our family of Corsos! We specialize in the Cane Corso or Italian Mastiffs who share our home with us each and every day. We are also fortunate enough own a few beautiful and fabulous French Bulldogs and Great Danes as well. ​We may not breed as often as our competition but when we do breed we breed for the highest quality. The reason: to help preserve the true heritage of the breed and to offer our puppy buyers only the best quality companions money can buy. We at Reigning Corsos &amp;amp;amp; More strive to produce the most amazing family companion you could have ever hoped for.. We handle and socialize our babies from day one.. Exposing them to all that life has to offer. Each of our amazing puppies come with a 24 month Health Guarantee, Fully Groomed, Wormed &amp;amp;amp; Vaccinated w/ Veterinarian Issued Health Certificate, but more importantly a lifetime of Breeder Support. 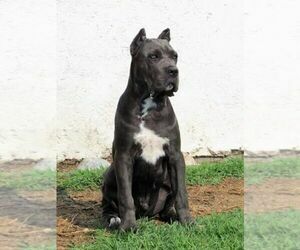 Breeder of quality Cane Corso located in Southwest Washington state. Our puppies are raised in our home with our children, cats and other dogs. Our dogs are shown in the ALC confirmation show ring and health tested prior to being bred. We are a family run business where puppies are raised around children, other dogs and animals. The puppies are socialized from the start and are raised in our home. They are also bred from Championship Bloodlines. We are not a puppy mill and responsibly breed our dogs. They are our lifelong pets even after they are spayed/neutered. At Altiere Cane Corso we breed happy, healthy purebred Corsos that are all family companions first and foremost. A select few become show dogs for a short time in their lives, some go on to do obedience or performance work. Our goal is to not only produce beautiful show dogs but wonderful pups that will bring years of enjoyment to their families as companions. Our dogs are fully health tested, have correct structure and solid temperaments. Puppies are sold with a health guarantee against life altering genetic and neurological abnormalities. Puppies will be AKC registered, up to date on vaccinations and micro-chipped. We raise our puppies inside with our family and and do early neurological stimulation with each puppy. Puppies will be exposed to various people, sights, sounds and stimuli. We promise lifetime breeder support. 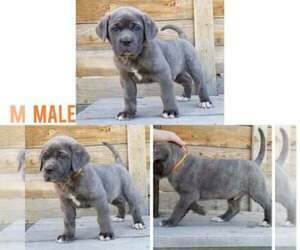 Looking for a reputable Cane Corso breeder in your area? 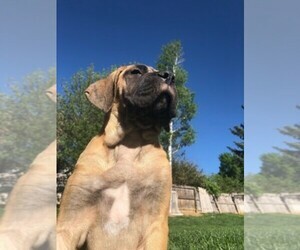 Simply browse through our nationwide directory of 1000s reputable Cane Corso breeders - complete with website addresses, dog breed profiles, and current puppies for sale.